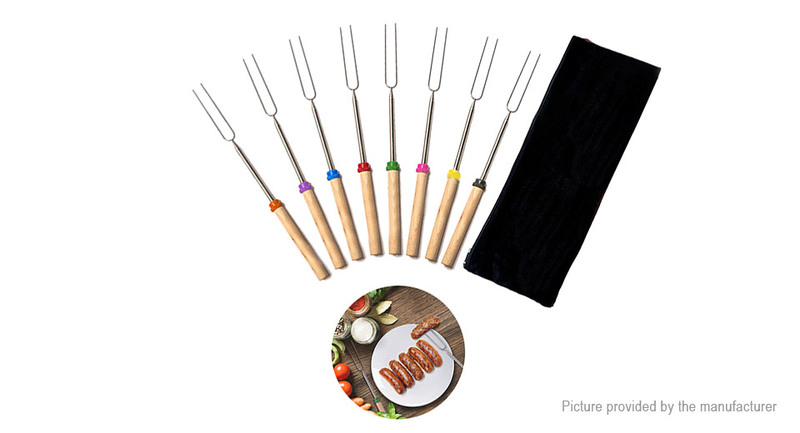 The roasting sticks perfect for making sausages, wieners, hot dogs, marshmallows and even vegetables or fruits. Extendable fork design and heat-resistant canvas pouch are convenient for camping trips or storing at home. It is convenient to reuse after washing.